If one thought that would dampen his supportersâ€™ enthusiasm, a few minutes spent at the Paul campaign headquarters in Ankeny on Monday would be enough to prove them mistaken. In fact the effort in Iowa seems to be humming along at an impressive pace. In less than two weeks, over a 110 County co-chairs have volunteered, 8 District co-chairs have signed on, and Mr. Paul has picked up his first Iowa legislative endorsement in Glenn Massie (R-Des Moines). Due to this progress, for the second time in two weeks the candidate himself was on hand to personally thank these volunteers and to take a few questions from the media. During the Q and A session Paul spoke on Israel, reiterating his stance that their dependence on the U.S is effectively making them weaker and not stronger. He also happily acknowledged that more and more Republicans are coming around to his position against our involvements in Iraq, Afghanistan, and Libya. In his view, this shift in thinking is the result of a mixture of disenchantment with realities on the ground and the fact that itâ€™s easier for Republicans to be less supportive now that these conflicts can be seen as â€œObamaâ€™s wars.â€ On the domestic front the only thing worth noting was his comments regarding Mike Huckabeeâ€™s decision not to enter the race. He called this development â€œsignificant,â€ adding that he thinks there is a good chance that he will appeal to Huckabeeâ€™s supporters. 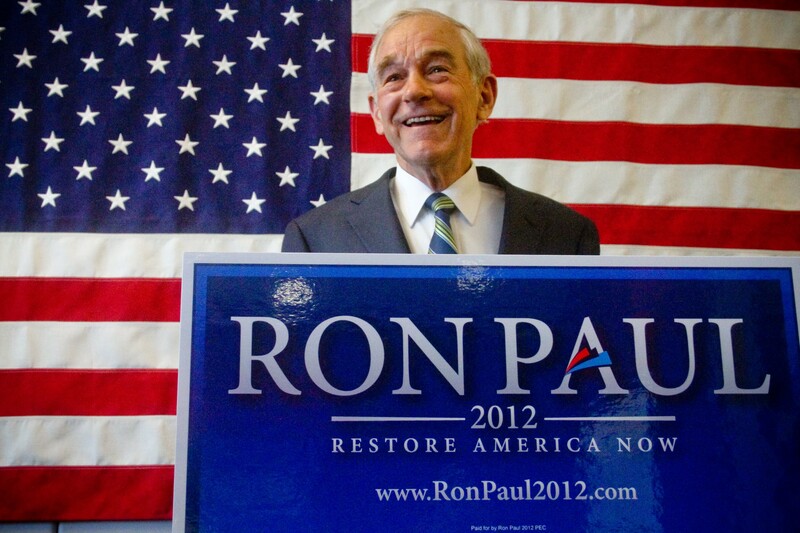 The more time one spends covering the Ron Paul presidential run the more one understands the reasons for his supportersâ€™ legendary levels of enthusiasm. Chief among these is the fact that what they are involved in is far more a movement than a campaign. Unlike what happens around populist candidates, they are not drawn to Paul by his smoothness, style, empathy, or one-liners. They are gravitating toward a philosophyâ€”a philosophy that is not only at odds with nearly every other GOP candidate, but of the Republican Party establishment in general. Before the event I interviewed Paulâ€™s Iowa Campaign Chairman, longtime Republican leader Drew Ivers, and this topic came up. Referencing this drift away from the Party, Ivers said, â€œI have carried plenty of water for the Republican Party over the years, and I have earned the right to criticize them.â€ When one looks at the legislative performance of the Party as a whole over the last 25 years, itâ€™s hard to argue that this criticism is undeserved. Unless of course we are willing to pretend that the financial collapse of 2008 and the 14.3 trillion dollar debt involved only Democrats. Aside from making it clear that Ron Paul is pro-marriage and pro-family, the topics which Ivers emphasized revealed another reason why Paulâ€™s staff and supporters have bound together so tightly behind their candidateâ€¦no one else in the race is singing their tune. A perfect example of this is the issue of Federal debt and deficits. Along with all the Republican hopefuls the Paul camp views Federal spending as 2012â€™s central issue, but unlike any of the others they favor a different solution. Mr. Ivers was speaking for the majority of the eventâ€™s attendees by showing great concern over the Federal Reserve, quantitative easing, and the value of the dollar. For Ivers, and for Paul, the Fed is the way to begin gaining control of run-away spending. Beyond just proposing spending cuts, their solution is to stop the endless spending by stopping the Federal Reserve from endlessly printing money. This type of systemic change is emblematic of many of Paulâ€™s proposals, and is an approach that the Party, likely for political reasons, has never warmed to. The fact that Mr. Paul is the only established Republican candidate talking about such things as eliminating the Fed, quantitative easing, and immediately ending our foreign deployments has gained him passionate support, but has also left a steep hill to climb. 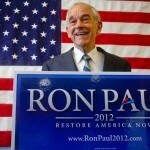 There are few bonds stronger than that of a shared conviction, and perhaps this more than anything else explains the enthusiasm of Ron Paulâ€™s supporters. For their message to connect they face the Herculean task of convincing a Country to shift its current concept of the role of government, ironically back to its original form. After spending an afternoon with the staff and volunteers who will be responsible for spreading this message, I can report that in spite of the odds they remain motivated, passionate, and in general completely undaunted by the challenge. Photo courtesy of TEApublican .